As the exclusive US distributor for the global brand of high quality, professional tactical nylon products, Proforce Equipment will utilize LBM’s press and media relations services to introduce the American audience to an American-focused line of Tasmanian Tiger® gear. Miramar, Fla. (October 2018) – Proforce Equipment, Inc., the exclusive distributor of several brands in North and South America, and the newly announced Tasmanian Tiger®tactical nylon line of products for the US market, has signed Laura Burgess Marketing (LBM) as their Public Relations firm. LBM will be responsible for informing the American commercial, law enforcement and military markets of the Tasmanian Tiger products designed exclusively for an American audience through press releases, media outreach and writer relations. LBM will also develop the Tasmanian Tiger social media sites and branded newsletter in conjunction with the team at Proforce Equipment, Inc. 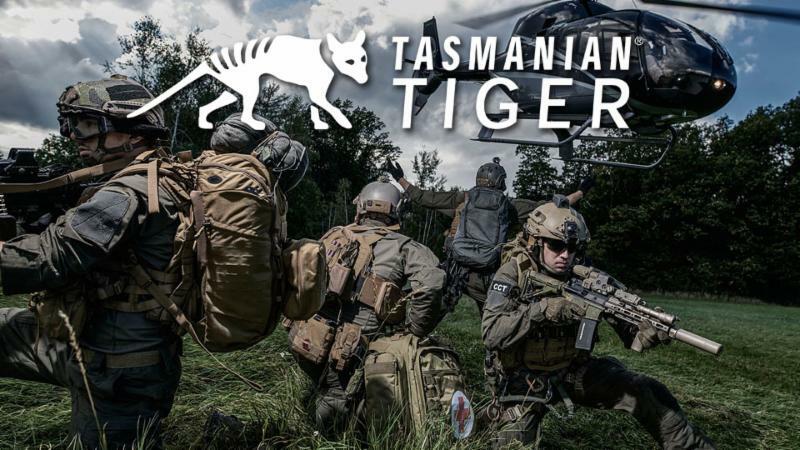 The Tasmanian Tiger brand of high quality, professional tactical nylon products for the military, special forces, SWAT and law enforcement, was established in 1999 and to date has been sold extensively within the European and Asian Markets. Tasmanian Tiger is a division of TATONKA GmbH. Tasmanian Tiger will have its official launch at the 2019 SHOT Show in Las Vegas, Nevada, Jan. 22 – 25, 2019 at Booth #20663 on Level 2. The new website www.tasmaniantigerusa.com and social platforms will also launch during January. All sales inquiries can be directed to tt@tasmaniantigerusa.com and all media inquiries can be directed to laura@lauraburgess.com. Proforce Equipment, Inc., based in Miramar, Florida, is the exclusive US distributor for Snugpak®, NDūR®, Camcon®, Wildo ® and most recently, Tasmanian Tiger®, a division of TATONKA GmbH. Proforce Equipment distributes quality products to the Military, Tactical, Law Enforcement, Sportsman and Outdoor markets through its network of Dealers and Distributors. Tasmanian Tiger®, a division of TATONKA GmbH, is an international brand founded in 1999, to provide user-design driven nylon products to elite warfighters and law enforcement in Europe and Asia. From prototype to production, all products are manufactured in the company’s own facilities, thus ensuring a consistently high level of quality throughout the production processes. All products are quality checked prior to leaving the facility and checked regularly by independent international test centers. Tasmanian Tiger® brand of nylon gear will be available in the US beginning in 2019. This entry was posted in Gear, Load Bearing and tagged laura burgess, LBM, nylon, Proforce Equipment, tactical, Tasmanian Tiger. Bookmark the permalink.